Tej Pratap has now threatened to contest from Saran if the ticket is not withdrawn. He also wants his aides to be fielded by the RJD from Jehanabad and Sheohar. 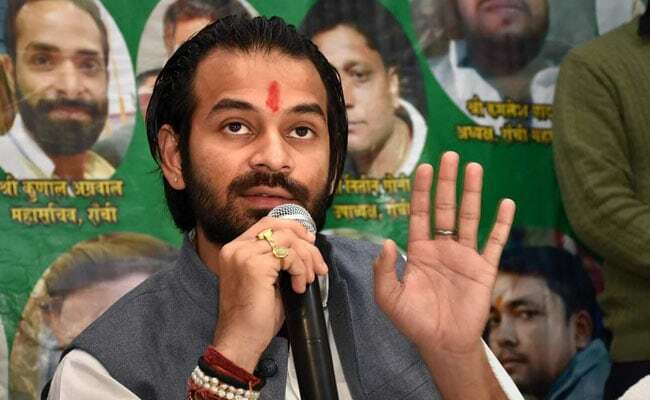 Tej Pratap Yadav, who is in the middle of another tantrum, complete with threats to form a new party, is waiting for the party's decision on the two tickets he sought for his close aides in the national elections beginning next week. The man who will ultimately take the call is younger brother Tejashwi Yadav. For the elder brother, who once described himself as Krishna, and Tejashwi Yadav as Arjuna, the situation is a bit of a role reversal. Family sources say this is the key reason why Tej Pratap Yadav is upset - although he has other causes as well. For months now, the elder Yadav has been upset that his family has not taken his wish to divorce his wife seriously, even though he left the house in protest against their stance and had been gone for weeks. 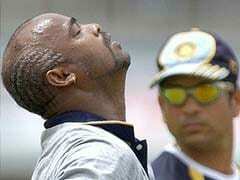 His wife Aishwariya Rai still lives with his family. What's worse is that her father - senior RJD leader Chandrika Rai - is stepping into Tej Pratap's father, Lalu Yadav's shoes in Saran. Saran was won by Lalu Yadav in 2009, his last electoral contest before conviction in a fodder scam case that bans him from running for any public office. Rabari Devi had initially agreed to contest from the seat, but she's unlikely to do so in view of health problems. Tej Pratap had opposed the nomination and to make his point, quit as the RJD's youth wing chief and threatened to form a new party. He even had the party banner and a working title ready: Lalu-Rabari Morcha. But younger brother Tejashwi remained unmoved and announced the candidature of Chandrika Rai. Tej Pratap has now threatened to contest from Saran if the ticket is not withdrawn. He also wants his aides to be fielded by the RJD from Jehanabad and Sheohar. If not, he has reportedly warned his party, he will field his candidates anyway under the name of the new party. Sources said what makes Tej Pratap especially upset is that not a single person close to him was considered for ticket. Even during the assembly elections, he managed to get a few tickets for people close to him. Now, all the decision making powers are with his younger brother and that he has no role in campaigning or seat distribution. Family sources say despite Tej Pratap being the elder brother, both Lalu Yadav and Rabari Devi are firm that it is Tejaswi Yadav who has proven himself and will remain the political heir. They also know that Tej Pratap is under the influence of Sadhu Yadav, the elder brother of Rabari Devi, who once wielded enormous power within the party, but eventually lost the favour of Lalu Yadav and got thrown out. Sources said through Tej Pratap, Sadhu Yadav is trying to make a comeback.